Wahoo, I’m officially halfway through this training cycle! Overall, this has been a very successful training cycle thus far, and I’m only 5.5 miles away from meeting my June mileage goal. With today being the last day of the month, you know that I’ll be doing some extra walking after my run today in order to ensure that I meet my monthly goal. The highlight of this week was my several speedy runs. As I reflected upon last week, my hard work, focus, and persistence has been paying off. 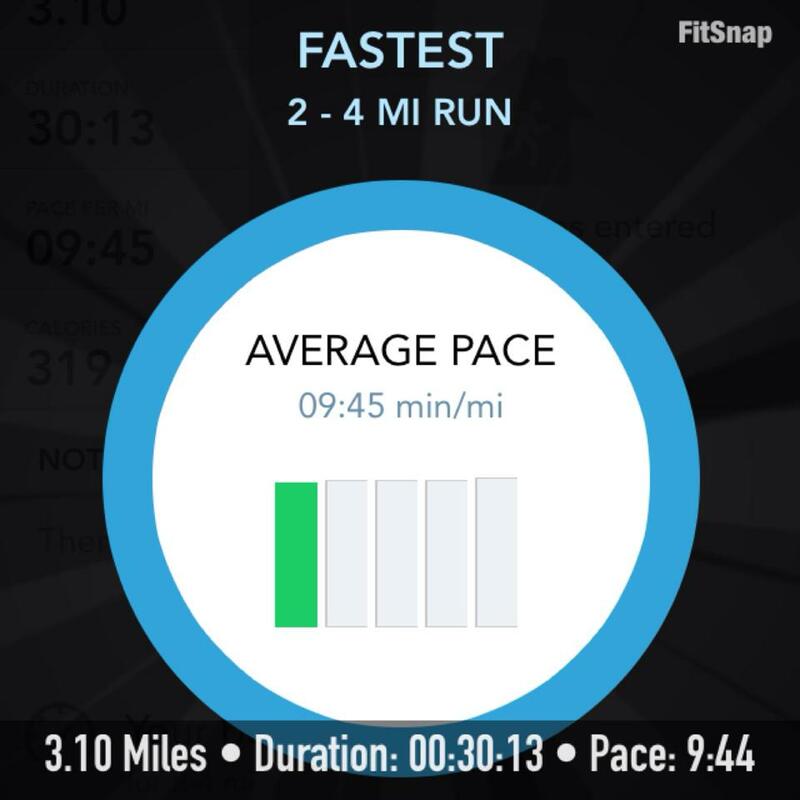 My pace has slowly been getting faster and faster, and this past week I finally crushed my goal to run a sub-31 minute 5k. The high that my speedy run early in the week left my on carried me through the rest of a very productive and successful week of training. This past week has been all about pushing myself further than ever before. I want to continue doing so, which means putting in the hard work and staying focused on my goals. Tomorrow, I’ll reflect on my June goals and set new goals for the month of July, but for now, I’ll leave you with my motivation for the coming week. QOTD: What are your current training mantra and/or motivation? 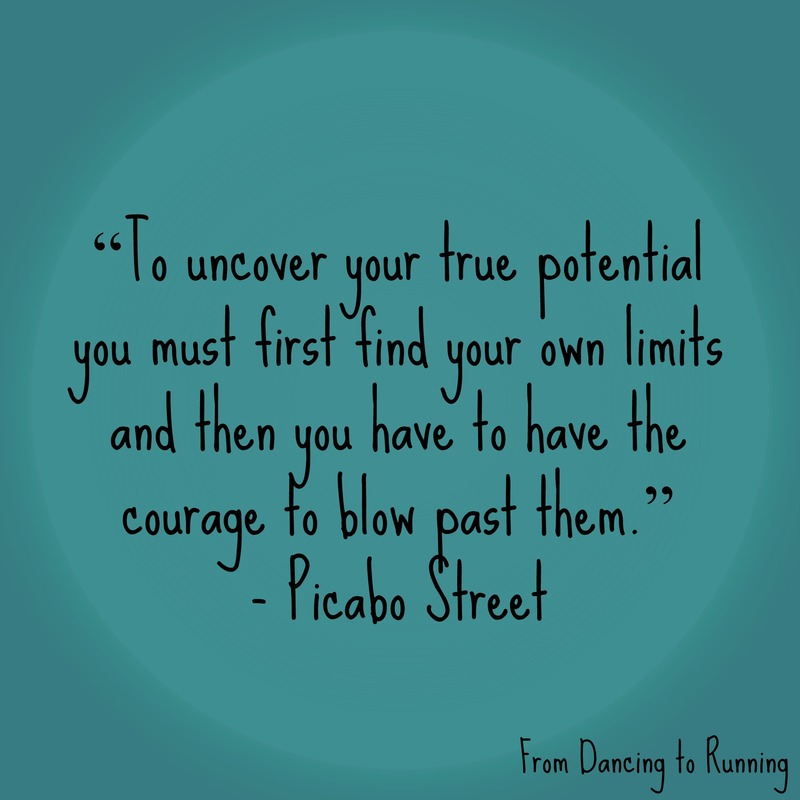 This entry was posted in RnRVB Half Marathon Training, Training and tagged foam rolling, half marathon, half marathon training, half marathon training plan, Monday Motivation, Rock 'n' Roll Virginia Beach, running, training, training plan, treadmill, walking, weekly recap, weight training, yoga. Bookmark the permalink. You are doing great with your speed Kathryn. I look forward to meeting you in Virginia Beach for the R n R race! Great job! It’s hard work to crush your goals, but once you do it the feeling is amazing!!! Keep up the good work! Wow, great week! Your training for this half seems to be going really well and I’m sure it will pay off on race day. good week! i’m so excited for you — i think you are going to really rock va beach — the course is perfect for a huge PR! Thanks Courtney! Looks like you had a great week as well! At this moment I don’t have a favorite and now is when I need one more than ever. Ugh!